Whether you spend a lot of time on your front porch or not, you still want it to look great, right? Even if the curb appeal is pristine, the lawn is full and green, there is fresh mulch around the flower beds, and the siding is clean, a bare and empty front porch and take away from your home’s beauty. So how can you spruce up your porch with fun decor pieces and bright colors that will also match your new glass door inserts? The experts at Your Door Our Glass will tell you how! Our team of glass experts would love to help you with a porch makeover. And that starts with quality glass door inserts that are made in-house. We believe that if we’re going to help you improve the look of your home, that we need to treat every customer like family. We wouldn’t want to provide sub-par service to our own family members, would we? When you work with us, you can put your trust in our experience, skill, and expert eye. And what’s better is that our design eye goes beyond your front door to your porch as well. 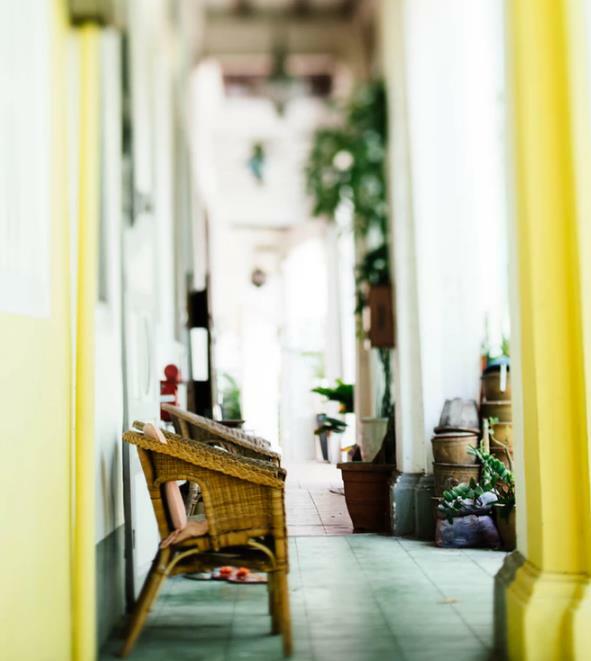 When people think about a front porch, they often think about sitting and relaxing, watching people walk or drive by, maybe a book nearby, and definitely a cool drink in their hand. 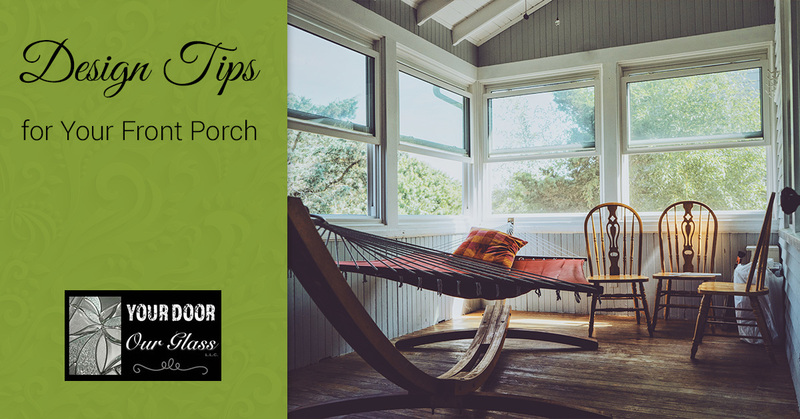 When planning your porch design, you want to first create a space that is comfortable for yourself, your family, and even those who are walking by. You can’t sit and watch the world go by without a chair or loveseat. Take some time selecting your seating too. It should be comfortable to sit in for hours as well as stylish. Consider the number of people that could sit on the porch too. You want enough spaces for everyone. An extra layer of comfort, throw pillows give people something to cuddle up with, rest their head on, or there could be the occasional pillow fight. However you see yourself using the pillows, it’s an accent that deserves a place on your porch. A front porch that isn’t functional won’t help you relax. Be sure to add in pieces that help the natural flow of the space. A surface to put your book down or somewhere to put your feet up, a functional front porch needs some sort of table. It could be an end table near a chair with flowers sitting on top, or a coffee table with magazines to read. A table with a glass of wine is the perfect addition to help you cool off in the Temecula weather. Whether it’s a painting, wall hooks for jackets or keys, or a clock, the walls probably make up a good chunk of the space and need some attention. Above all, don’t forget to add some personality and style to the space! This is a great opportunity to pull the lines and color featured in your glass door inserts. 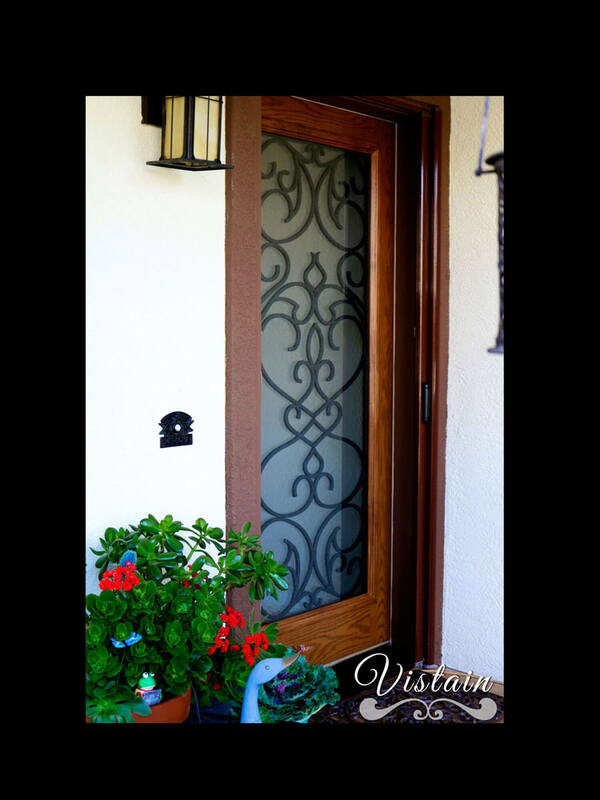 If you chose to have stained glass in the door, use those colors in your design. A deep blue, a bright green, or purple are wonderful in glass door designs and will also enhance the front porch space. Have fun with pattern! The delicate lines and curves in your glass door can be matched in a similar pattern in your pillows, chair upholstery, or even drapery. A front porch says a lot about the personality and style of the homeowner. If you’re looking to freshen up the design of your porch, look to Your Door Our Glass for high-quality glass door inserts. Browse through our glass door products and get in touch with our team to schedule a consultation!